The end result? Improved visibility and more accurate information to help you do your job better and faster while greatly improving your owner relations. We are people driven. That is why our Customer Support Team is committed to working with you every step of the way, to help you become more successful than ever before. 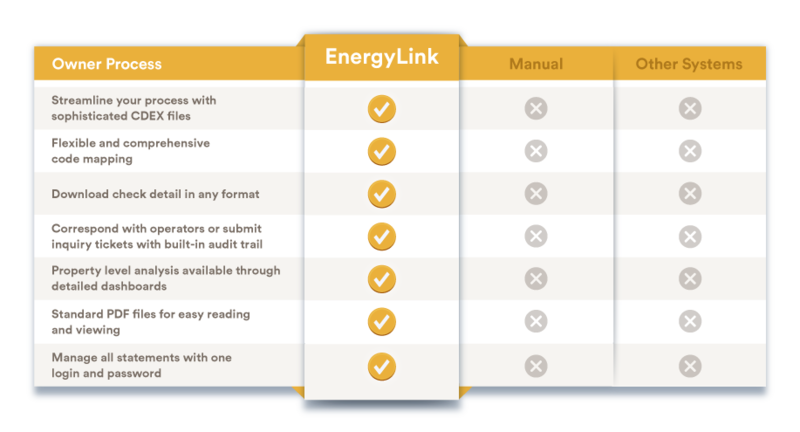 As we try to control expenses, EnergyLink’s ability to host revenue detail and 1099s has proven to be a valuable tool. This resource allows us to save employees’ time, reduce the amount of paper used and minimize our postage expense. 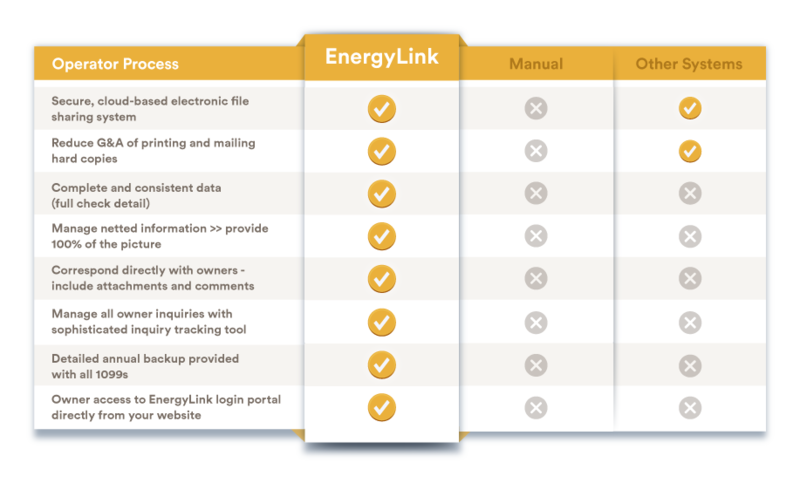 EnergyLink is easy to use and their staff is available and helpful if needed. Red Dog Systems is a quality organization of innovators that helps us meet our needs and requirements. We use EnergyLink to post our operated revenue check detail as well as to retrieve the non-operated revenue check detail posted by our partners. Recently we have expanded our use of the non-operated check detail to map the data to match our revenue system. The Excel spreadsheets that we are able to generate from EnergyLink have significantly reduced the time we spend entering revenue detail into our system. Red Dog Systems has provided excellent support in a timely manner and continues to help us utilize their product to increase our productivity.